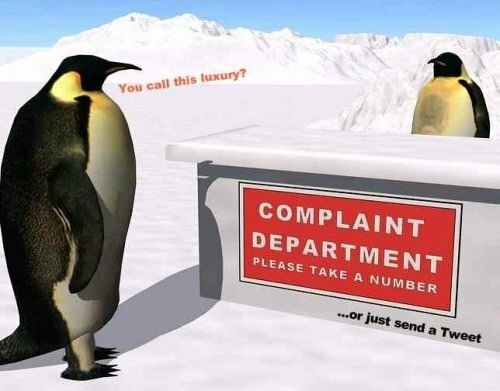 It’s time to recalibrate your expectations about customer complaints. As Amber Naslund and I wrote in The NOW Revolution way back in 2010, every customer is a reporter. But now, smartphone proliferation and the app-ification of interaction is enabling and encouraging them to file their reports more easily than ever. I don’t know what business you’re in, but I’d be willing to wager that your customer complaint volume is going up, not down. Even with your commitment to humanization, social outreach, customer experience and all the rest, you’re still getting more angry missives than ever. The reason behind the rise in customer complaints is unclear, but some franchisees say it could be partly because customers now have more ways to supply feedback. I absolutely believe this is at least a contributing factor. If nothing else, social media and always-on Internet access has made us all passive aggressive. I have witnessed people sitting in a restaurant and tweeting negativity without first speaking to waitstaff or a manager. Hotel managers have told me that they are seeing more Trip Advisor reviews than front desk complaints. Psychologically, it all adds up. Why go through the emotional toil of calling someone out face-to-face when we can hide behind our avatars and mobile devices? This trend will not ebb. The genie will not go back in the bottle. You need to start measuring results of social media customer service via survey-driven satisfaction indices, rather than cases handled and call deflection, because the idea that socializing service will result in fewer overall complaints is a misconception. Or so it appears to me.